Vacuum tempering furnace is suitable for high speed steel, die steel, tool steel, alloy steel, titanium alloy etc. Soft magnetic material, silicon steel sheet, electrician pure iron, copper alloy and other materials bright annealing. Remove the forging parts, welding parts, cold stamping parts, and the residual internal stresses after the workpiece is quenched to prevent deformation and cracking of the workpiece. 1. Easy operation, manual/automatic free switching, automatic control can be realized, and human error in operation is fully avoided. 2. Equipped with perfect alarm system, it can effectively protect the equipment. 3. For the characteristics of low heating temperature and high furnace volume for some vacuum back furnace process, the convection heating can be considered. Meet the requirement of heating speed and temperature effect in the heat – back process. 4. For the annealing treatment of some tubular, slender pieces and thin-walled parts, it is recommended that vertical loading or bottom loading structure be used to effectively solve the deformation problem. 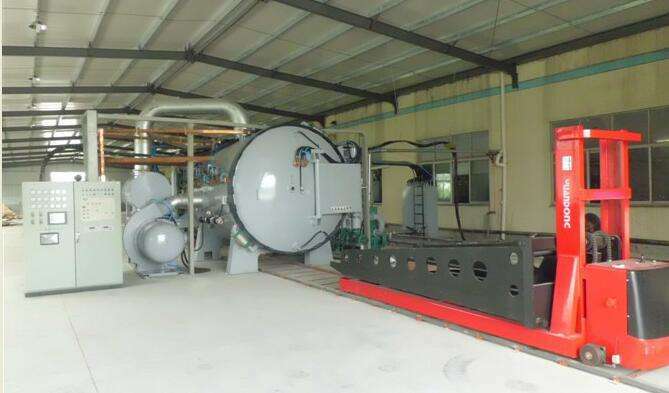 Vacuum furnace selection reference: the user can choose the nickel chrome heater or mo heater according to the desired temperature of the workpiece. Molybdenum nickel chrome heater is the highest temperature is 700 ℃, the heater the highest temperature is 1100 ℃. The corresponding heating power is different.